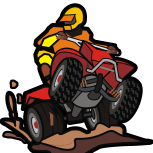 Posts about Kawasaki atv models and manufacturer specific topics. Kawasaki Bayou 220 No fire/spark/lights/nothing. Please help!